The new A4 color multifunctional system Olivetti d-COLOR MF3100 offers high performance, elegance and compactness in one essence at a speed of 31 pages per minute in color and black and white. User-friendly and compact with a stylish and sophisticated design, yet conceived for advanced professional users and complex workgroups. Contact Highline today to discuss our offers including managed print services, multifunction printers, toner, service and parts. Here at Highline Office Technology, we will work with you to identify exactly what you print and how much it costs, harnessing hardware and software to build a bespoke solution to suit your precise business requirements. Matching the right machine with your printing needs is a vital first step in setting up an efficient and cost effective print system. 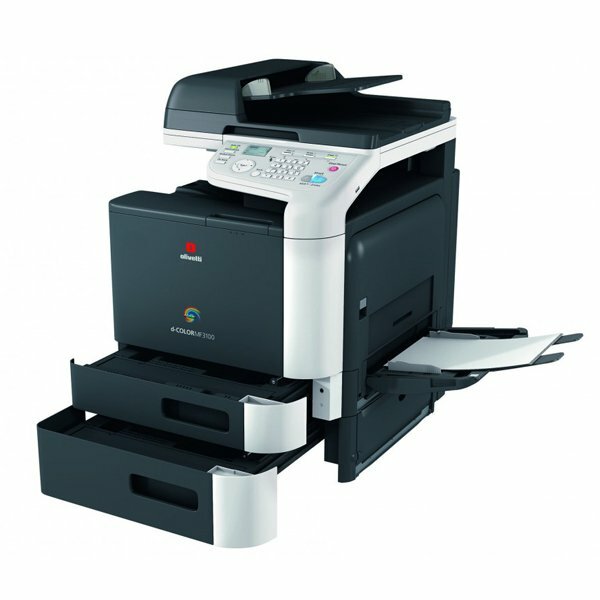 Olivetti specialises in multifunctional digital systems for reproducing and printing colour and black/white documents. Olivetti Printers are reliable, fast and are ideal for all office processes, large and small. These systems are designed specifically to boost productivity by cutting costs. A dependable print system is essential to the smooth running of your office. Our suite of services enables us to design, install and maintain the mix of office technology that’s best for your business. Get in contact. How can we help you?